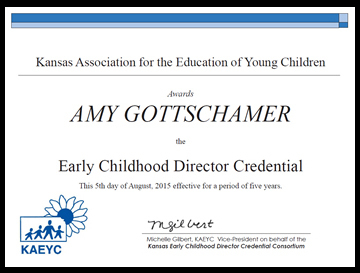 Shanna Todd has been elected for a two-year term(2017-2019) member-at-large position for the KSAEYC State Board. Shanna is the Administrative Director for Googols of Learning Child Development Center, a licensed child care center in Lawrence, Kansas. Googols would like to announce that as of May 12th, 2018 Shanna Todd and Amy Gottschamer have both been awarded M.Ed. degrees in Early Childhood Education with specializations in Administration. After two-and-a-half years studying early childhood curriculum, theory, environment, special needs, community & family, observation & documentation, and qualitative research; and taking courses in human resource, finance, leadership, and mentoring, they were granted their M.Ed. degrees by Champlain College out of Burlington, VT. Please CLICK HERE for full Press Release. 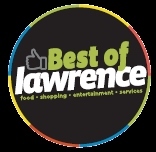 For the third year in a row the Best of Lawrence Publication recognized Googols of Learning as one of its 2016 Winners in the Childcare category. Googols of Learning was awarded the 2014 Foundation Award sponsored by Lawrence Business Magazine and Cadre Lawrence. Googols of Learning is in the process of updating its emailing procedures. CLICK HERE to sign up for our emailing list so you can stay connected. We promise NOT to give away or sell any of your private information.